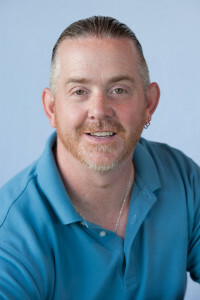 Mike Deathe is an avid pet lover who found his passion as a dog trainer in 2008. Since then he has trained thousands of pet parents to better communicate with their dogs. 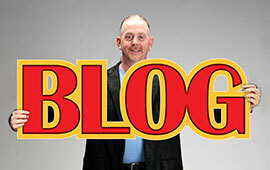 He authors the KISS Dog Blog and writes for several local, regional and national magazines. Mike has authored seven books on Dog Training (all available right here), has contributed to countless pet publications and websites, and has been seen on several TV stations talking about how it is more important to train the owners rather than the dogs! Yep, they let Me and Leo on TV! It all started with a Part-Time job a local big box pet store after I having quit my “real” job to become a stay at home dad… That turned into not only a dog training position but also becoming an Area Trainer for several years. As I progressed, I really wanted to help folks in their home and tackle more complicated cases and in 2010 K.I.S.S. Dog Training was born 😊… I am one of the lucky few that found his passion and is lucky enough to do it for a living! Mike lives in Shawnee, Kansas and has two great kids, Donovan and Dylan, who keep him busy when his three dogs are not! Besides being a dad, Mike’s biggest passion is helping folks get a better understanding of what your pooch is trying to tell you, and what you can do about it! Being able to train “any dog” is really not the question to ask. 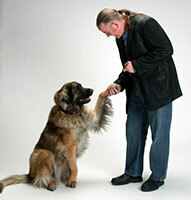 As far as I am concerned, training people is a much more effective way of solving problem behaviors in dogs. What I do is nothing new or magical. I use basic behavior theory and positive reinforcement techniques to change behavior, or teach proper ones to begin with. There are many ways to train a dog and while I will not condemn other styles, I believe and understand my style and stick to it. My view is that positive reinforcement is the best and fastest way to teach a dog, along with resource control in regards the two most important things in Fido’s life: Attention and food. After all, it is hard to teach a dog anything if they are not paying attention! Please take the time to look at my reviews here on the site, check out the blog (K.I.S.S. Dog Blog) and then decide for yourself. Also please take a look at our Fine Print page; It will let you in on all my policies and things I feel will make your training experience both fun and productive! You should not make training decisions based off of a brochure. You should talk to at least three trainers; check out their style and get references; then make your choice. In the end, I hope you will choose me as your trainer!